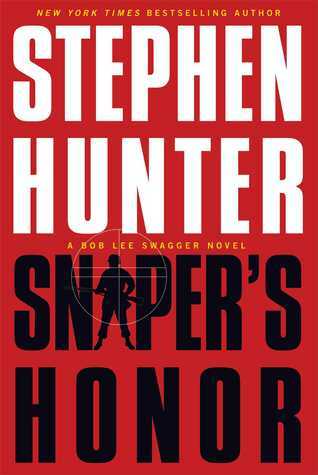 First foray into the extensive collection of Stephen Hunter and the volatile world of Bob Lee Swagger. I currently have a copy of Dirty White Boys resting on my shelf and have been meaning to read it, but, well, as fellow readers you may understand this literary plight you may find yourselves in from time-to-time. You know that one when your out-and-about town and can’t help but buy books when you see them. Oh the madness! 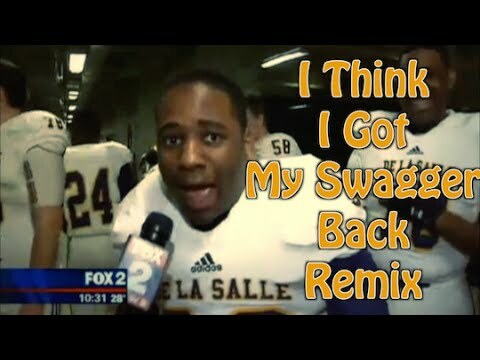 Lucky for me I got another chance, and this time I was going to take full advantage of it and I am so glad I did. A book about guns, a sniper’s solitude atop their perch, and beautiful Russian woman that could kill you within a one thousand yard scope, what’s not to love about that. Let’s get this party started. This story transports the reader back in time to 1944 and more specifically World War 2, during the Russian and German offences on toward the demise of Nazi proliferation. 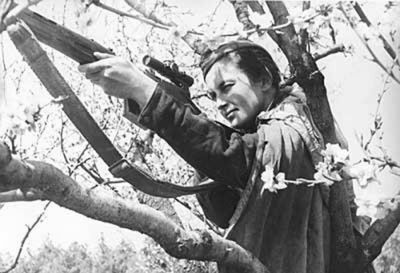 Like a Quentin Tarantino film, Ludmilla “Mili” Petrova aka “Die Weisse Hexe” aka “Belaya Vedma” aka “The White Witch” as she is more commonly known, is widely-regarded as one of the most notorious snipers of her generation. Working on behalf of the Russian Military during the Battles in Stalingrad and Kursk with over one hundred kills alone, she longed for the prosperity of her country and did her part with her service, but having her family destroyed by war, Mili had a difficult time fighting for the “cause”. Watching her father being taken away in a Black Maria (police van) and imprisoned in a Gulag for scientific insubordination was incomprehensible to Mili. Take into account the thought of hearing that her father Fyodor later died of tuberculosis while in prison, her brother’s Pavel, Gregori, and husband Dmitri had also died during the war and her mother was unintentionally shelled by gunfire, you can understand her reluctance. It is hard to come to terms with the reality of fighting for fellow comrades and leaders that have left you alone and isolated in the world to fend for yourself in your sniper’s nest. Her motivation was the love of the Russian motherland and revenge, nothing else. But what happens when you suddenly become the enemy of the state within the state you call home? And the country you fight against have increased efforts to insure your death? At sixty-eight-years old Bob Lee Swagger aka Bob The Nailer is resting comfortably on his wraparound porch at his Idaho Farm. Having two daughters and a son all over the country pursuing their own goals, Bob finds himself disengaged from the world. His current wife believes he needs a new mission and re-engage or risk becoming simply unbearable to live with. Hesitant Bob receives a phone call from trusted friend and newspaper reporter Kathy Reilly who needs information about the military rifle Mosin-Nagant PU 35 and more importantly Ludmilla Petrova. The sheer utterance of the name immediately made Bob shutter; it also gave him an excuse to take a spontaneous trip to Moscow and embark on a much needed “vacation”. Throughout the rest of the story you will meet plenty of interesting characters. Most readers would assume a lot of attention would be paid to Stalin and Hitler, but they are mainly an ominous shadow casted over the story. What we do get is Dr. Hans Groebel who is described as a savant when it came to enemy detail and was regarded as a God among the SS and a valuable figure for the Nazi stronghold. Yusef Salid who was instrumental to the SS in orchestrating Muslim war strategies to fight the Jews and enforce genetic cleansing in the Ukraine. Gershon Gold is an ex Israeli soldier who now works in economic intelligence, anti-terror unit and is viewed as Israel’s secret weapon. Basil Krulov is Stalin’s right hand man and I must say he is a truly interesting figure. The Green Devils German parachuting unit with the heart-on-your-sleeve Wili Bober and Hollywood Karl Von Drehle that kind of reminded me of a rag tag team reminiscent of The Inglorious Bastards. Truly an interesting cast of characters. For all the mature adults out there that are considering reading this book, you may find yourself wanting to barrel down a hill or simply grab a seat on your favourite rocking chair. One things for sure, is there will be no more excuses or complaints about a bad hip when a man in worse shape and physically much older than his documented sixty eight years is staring death right in the eye and still carrying on like a careless, yet methodical twenty-something. I guess that would be seen as the double-edged sword when it comes to older hero’s. This book was very technical in terms of militaristic strategies and is perfectly suited for the weapons officianado. Me being the city dude who has no interest in guns was still intrigued by the subject matter, but it still deviated more from the story than I would’ve preferred. What I found interesting was the feeling of cheering for the sniper, and the shared bond among a select few. With all of the violence, treason, and residential destruction there was a lot of heartwarming aspects that made the story take on a different perspective than I initially expected. 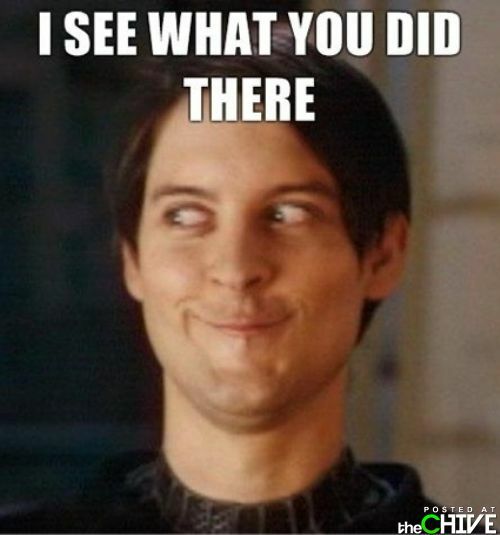 Give this one a shot…You see what I did there.